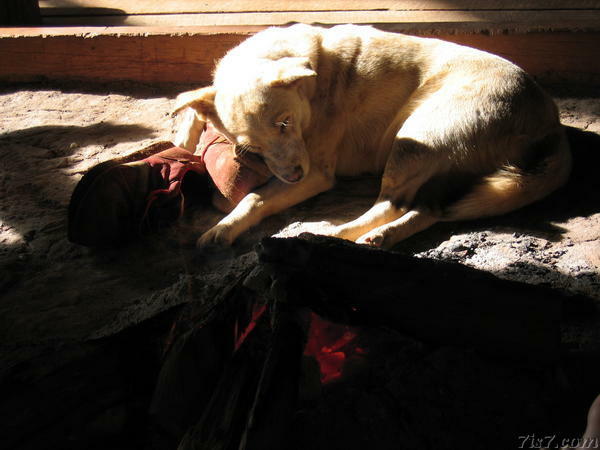 At the Cave Lodge, this innocent dog, named Gail, was peacefully sleeping close to the fire with her head on a shoe. We thought she was pretty cute, but little did we know that just one day after we took this picture she would be murdered by a villager who fed her a chicken poisoned with insecticide. Her cries of pain were unbearable!